Join us to see this interesting show about Madrid that opened on December 12th at Museo Municipal de Arte Contemporáneo de Madrid. 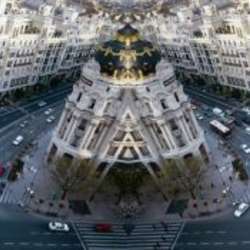 A review of what has happened in contemporary art, specifically focusing on the city of Madrid, in the last four decades through one hundred and forty-nine pieces. In this exhibition, articulated in six different sections, paintings, photographs, drawings and graphic works of thirty-nine prestigious artists are presented. For all of us who love this city it will be an interesting and enriching experience. Afterwards, as usual for those interested, we’ll have some drinks and tapas in the area.